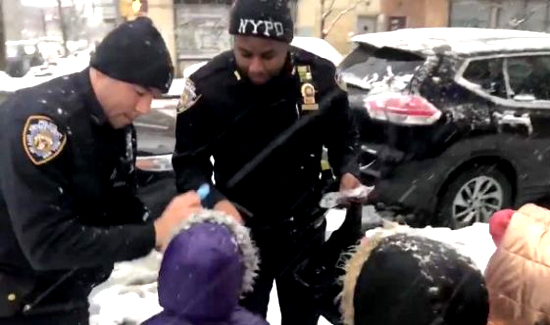 In Brooklyn, New York recently they had quite a bit of snow and some neighborhood kids and a pair of NYPD officers got into a snowball fight. After the fun was over the guys went and bought the kids some gloves. Outstanding work fellas! 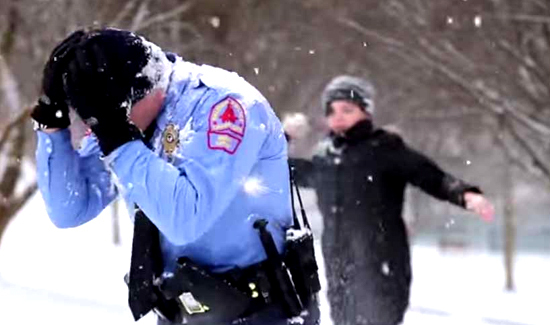 Anyway, as most cops know, sometimes these snowball fights can get out of hand and lead to misunderstandings. So it’s nice to know some people still know how to do it. Good community relations move, NYPD! You showed the kids you aren’t their enemies, and do care about their interests and welfare!